Purchased with funds from the Myers Foundations. 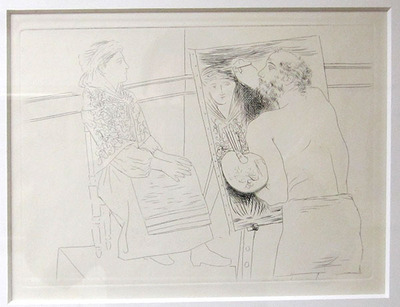 Among the most influential artists of the twentieth century, Picasso revolutionized modern art. While his work of the late 1920s was subdued compared with the radical experiments of the previous decade, this print still reflects the playful, expressive quality of line that helped define his unique style.